Michael Vale, the actor best known for his portrayal of a sleepy-eyed Dunkin' Donuts baker who said "Time to make the doughnuts," has died. He was 83. Vale died Saturday in New York City of complications from diabetes, according to son-in law Rick Reil. Vale's long-running character, "Fred the Baker," for the doughnut maker's ad campaign lasted 15 years until he retired in 1997. 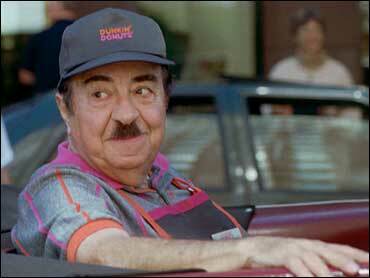 Canton, Mass.-based Dunkin' Donuts said in a statement that Vale's character "became a beloved American icon that permeated our culture and touched millions with his sense of humor and humble nature." Vale was born in Brooklyn and studied acting at the Dramatic Workshop in New York City with classmates Tony Curtis, Ben Gazzara and Rod Steiger. A veteran of the Broadway stage, film and television, Vale appeared in more than 1,300 TV commercials.